Determination, hard work, and imagination can allow a person to triumph over adversity. Helen Keller certainly triumphed, and she remains an inspiration to millions around the world. What an incredible woman to emulate as I try to overcome the effects of living a sedentary life and push my body to run 13.1 miles. What an incredible woman to emulate as I take the story of my heart and release it to the world—fourteen years from the day I sat at my computer and wrote the first words. Two weeks is all that’s left—fourteen days. I still have about 35 training miles to run, pictures of the course to study, energy food to test out on my system, and sore muscles to ice, but as long as I stay focused, I can do this. I can do this. I CAN do this! 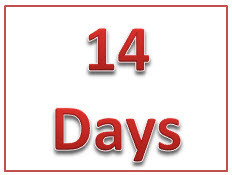 Two weeks is all that’s left—fourteen days. I still have to complete the final edits of THE RUBY BROOCH, then send it off to be formatted, but as long as I stay focused, I can do this. I can do this. I CAN do this! I don’t live in a dark and silent world like Helen Keller, but like her, I will keep my face to the sunshine where I cannot see the shadow, the shadow of doubt and fear. Fourteen days to the finish line, but once I cross that line, I will set new goals. Determination, hard work, and imagination. What will the new goals be? The completion of THE LAST MACKLENNA, THE SAPPHIRE BROOCH, THE EMERALD BROOCH, and a full marathon. Wow. That will take some heavy duty focus, but I CAN do that.